DuroStar's stated vision is, "Powering Everyone, Anywhere!" They vigorously support this claim with their product line that includes generators, engines, and pumps, and more. Founded in 2003 and headquartered in Ontario California, the backbone of the DuroStar lineup are their generators. All are designed to be dual fuel, primarily using liquid propane. Propane is less expensive than gasoline and has a longer shelf life. It's also cleaner burning so engine internals are less prone to harm. The "dual" part of "dual fuel", though, means that if propane is not available, gasoline can be used. 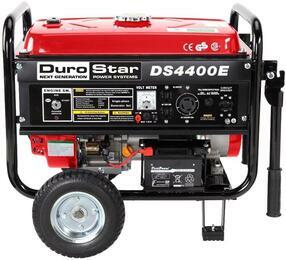 Models are available that can produce anywhere from 2,000 to 15,000 watts so whether you're looking for residential backup, powering an RV's appliances, or need heavy duty output for a job site, there's a DuroStar generator for you. Designed for any project you might have in mind, DuroStar small engines come in various configurations and sizes. Models are available with power outputs from 5 HP to 18 HP. All are made with the robust quality DuroStar is known for which is why customers trust their engines to power their go-karts, lawn mowers, mud skippers, and so much more. Whether you're moving, draining, filling, or spraying, there's a DuroStar pump for you. Semi-trash pumps combine OHV Engines, aluminum pump bodies, and a cast iron impeller/volute to create a lightweight powerful pump, capable of moving over 400 gallons per minute with 1/4" grit. Chemical pumps use an ABS pump body, volute, and impeller allowing DuroStar chemical pumps to move caustic liquids, like saltwater and fertilizer that would destroy other pumps. High pressure pumps are designed to pump liquids higher, further, faster, and harder than any other. Power through fires or irrigate hard to reach areas with dual cast iron impellers that combine to achieve over 115 PSI at 70 GPM, that can reach over 250 ft.
Shop Appliances Connection today for the DuroStar that are right for you!